Hello, HP fans! Look at your clothes. Now back to SparkLife. Now back at your clothes. Now back to SparkLife. 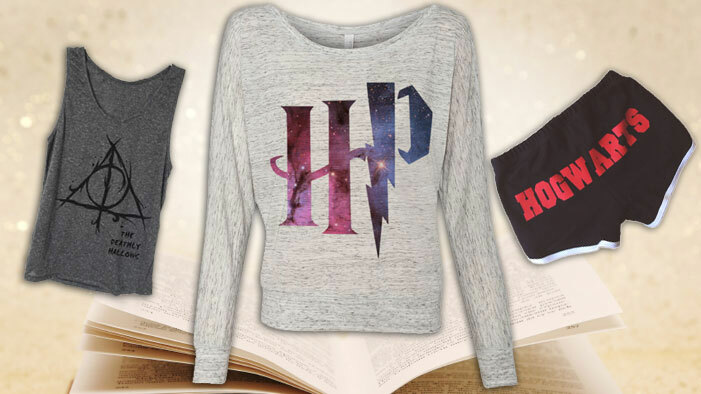 Sadly, your clothes may not be Harry Potter-themed. IT DOESN’T HAVE TO BE THAT WAY. Small-time purveyors of quality wizarding wear are all over online Diagon Alley market, Etsy.com, and they are DYING to put you in their robes. Just l00K at this pair of Varsity Hogwart’s hot pants. Thanks to all the Etsy shops that let us show you their amazing wares!